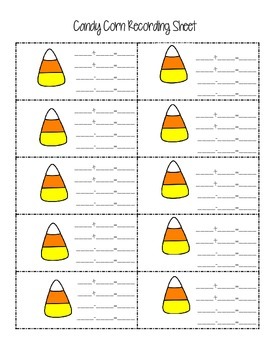 This Candy Corn Fact Family packet includes materials to provide three leveled workstations for your students. 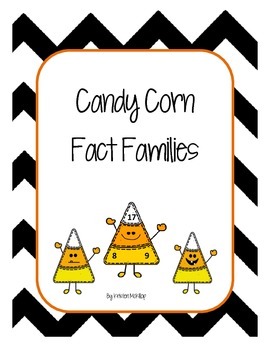 Students who understand fact families will be challenged to piece together candy corn fact families and write the number sentences on the recording sheet. Average students can practice fluency by recording given fact families. 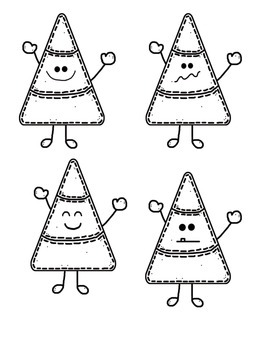 Lower students can use candy corn maniuplatives to solve problems. 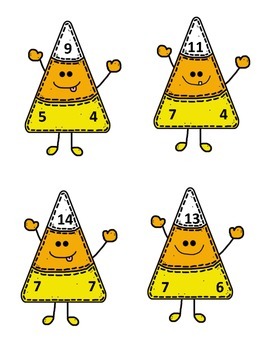 Finally, there is an extension opportunity for students who really need to be challenged and an opportunity for you to create your own candy corn men with the addition/subtraction fact families you want reinforced.